This really should be one of the most fun parts of your kitchen remodel. 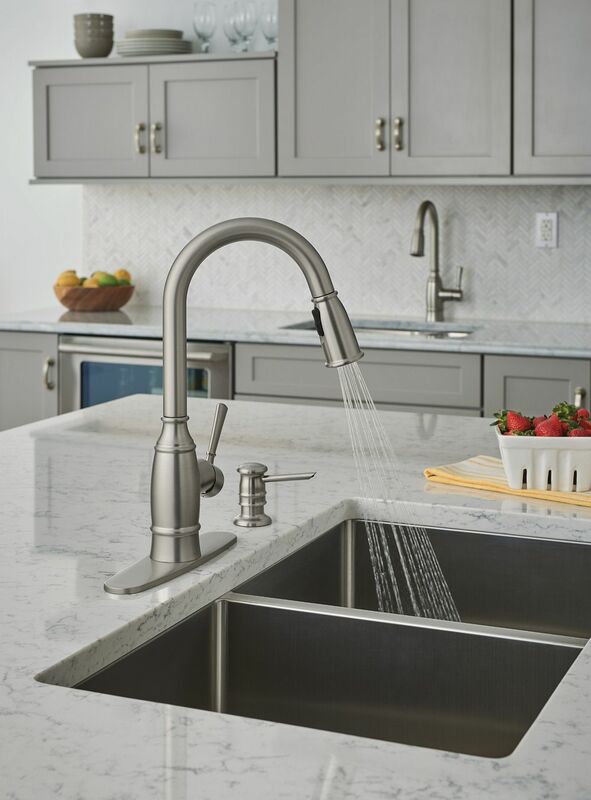 Choosing your faucet is where your personality is going to shine through and everyone is going to know this is YOUR kitchen! Here’s a few tips to help you chose the right type. Are you simply replacing an old faucet for a new one? When your making a quick change you have to keep in mind the footprint of the faucet you are removing. How many pre-existing holes will there be? 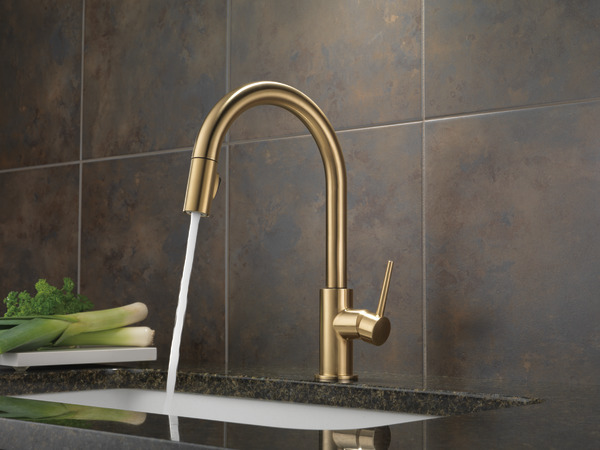 The single-hole faucet has been increasingly a favorite. In the case where you are going to have un-used faucet holes, a side spray or soap dispenser may be a good feature. Also, many single hole faucets come with something called a “escutcheon” plate. It is a plate the goes at the base of the faucet and should cover the pre-exhisting holes. Check the specs of the plate with the holes you have to make sure this option with completely cover what you have. You’re choses are: Pull-out, Pull-down, Side-spray, Professional Hose-coils, and Hands-free. A Pull-out is an excellent chose when working with small spaces and a small sink. They don’t require the space from the high arc faucets and the pull-down faucet. This tends to be a more traditional option. We see this especially due to the rise in the high arc trending faucets. The pull-out option houses a longer hose and can sometimes be a key feature in manageability. 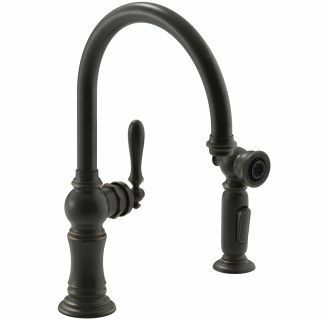 Pull-down faucets are in style and are here to stay! They have clean lines and beauty adding excellent flair to any kitchen. Their high-arc allows them, most of them, a 360 Degree turning radius, so in a large sink, which, again, is all the rage, is remarkable. The functionality of a pull-down faucet is its best feature. 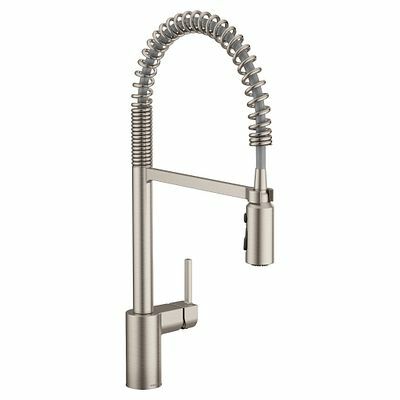 The Professional Hose-Coil Faucet has just recently made its debut into residential kitchens. With the rise of the “industrial” style in home design this is an eye-catching way to bring it into the kitchen. It is considered a high-arc faucet but may have a bit more mobility adding to its functionality. Now, think about your upper cabinets and how much space you have to work with. Not all setting work with a high-arc faucet. 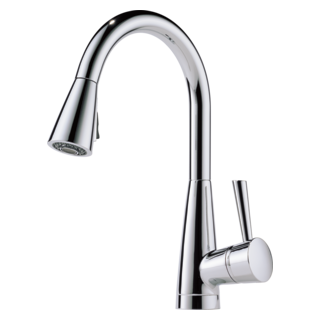 High-Arc faucets are best suited at windows, where upper cabinets are not in the way. Islands are also great place. How Many Handles Are You Looking For? As we said earlier, you may be working with-in a specific footprint if your simply replacing an existing faucet, but even with that there are options to adjust how many handles you’d like to have on your sink deck. If this is a remodel project or a completely new kitchen and you have the easy opportunity to simply choose anything you’d like. 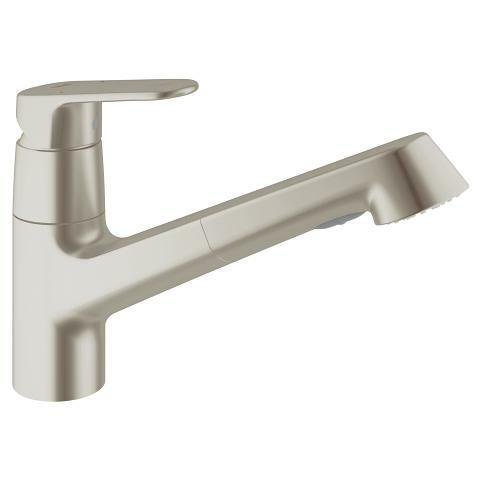 Many faucets today have just one handle, right at the base of the faucet. When choosing multiple handles the overall design and feel of the kitchen changes tremendously. The options are all pretty great. 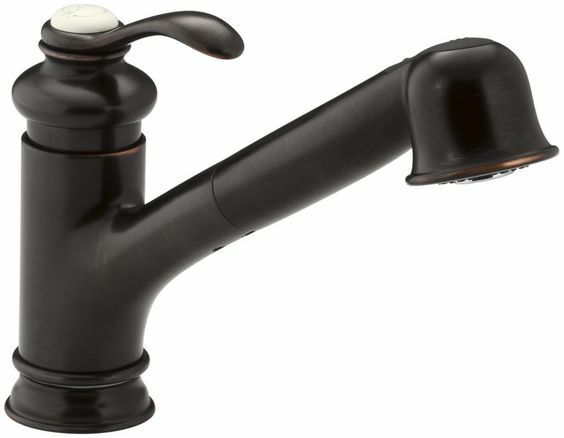 A very useful feature that seems to be making headlines is the “Touch to Operate” faucets. These are typically battery operated and very easy to maintain. Me being a mother and doing a lot of cooking and getting dirty, I can see a huge benefit to this. I am also a bit of neat-freak so this would assist in keeping my faucet cleaner! One less thing for me to have to clean up! The most popular selections in finishes are Chrome, Brushed Nickel, and Oil-Rubbed Bronze. Other colors coming into play are Polished Nickel, Black, and Brass. Keep in mind when selecting these finishes that most faucest will differ in price depending on the finish, with Chrome typically being the lease expensive option. Also, I have mentioned finished names but most manufacturers name those finishes slightly different! A finish can really add to a theme and style of a kitchen. For me, chosing the faucet in a kitchen remodel is one of the most important things. Its one of those details that can really add the extra pizzaz to your kitchen, so, choose wisely! Hope this helps you narrow down your options! If you need any help, let me know!